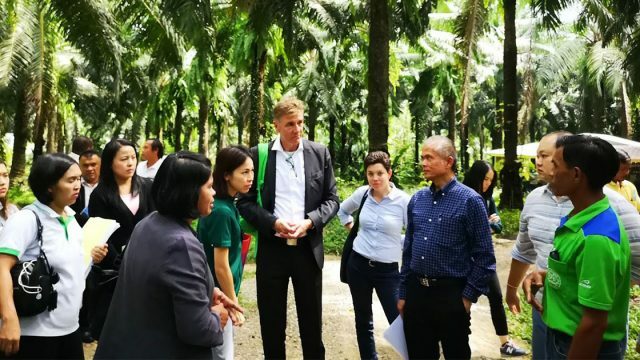 A training centre for sustainable palm oil plantation will soon open in Krabi province to accommodate the first batch of 500 farmers in three southern provinces of Thailand. 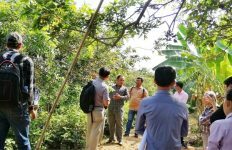 Through this centre, small-scale farmers in Surat Thani, Krabi and Chumphon provinces will receive a series of training to improve their standard and farming practices which will boost their crop yield and reduce their production cost. Dr Setapong Lekawatana from Department of Agricultural Extension stated that investment cost would be cut down while production would be increased for at least 20 per cent in the future as a result of the training to be started in July 2019. At least 3,700 palm oil farmers will be trained, covering 87,000 rai*, according to Dr. Setapong, an acting advisory expert in agricultural commodity system development. He said local government officers will also get trained in this sustainable palm oil programme and will pass on knowledge to other government officers and farmers later. 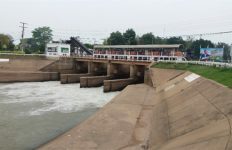 A plan to set up a committee on network cooperation and train local government officers is underway. In addition, a database system to develop sustainable palm oil plantation will also be created, he added. Dr. Setapong also reassured the better palm oil curriculum to cover safe use of fertilizer, nutrient management, canopy management, record keeping and assessment of oil palm and materials. While Surakitti Srikul, a senior expert in crop production in upper southern region, Department of Agriculture emphasized on water management, biological control agent and monitoring and promoting for palm oil based through database system to better access for small-holder farmers to Thailand’s voluntary emission reduction market (T-VER). Some palm oil producing countries are dealing with negative impacts on natural resources, greenhouse gas emission and animal cruelty, many countries are improving and producing palm oil in a better practice to meet international standard and environmentally friendly. “For example, we will focus more on palm oil procurement in Germany. In Indonesia, we will promote development of palm oil production through wider market channels while government officers and farmer leaders in the three selected provinces of Southern Thailand will be trained,” said Mr. Michael. 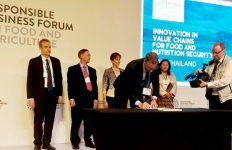 The training programme in Thailand was kicked off with the aim to benefit farmers in Surat Thani, Krabi and Chumphon provinces in improving standard and farming practices in a more sustainable and climate-friendly way. The kick-off event received more than 50 participants including farmer leaders and government representatives from both public and private sectors including Oil Palm and Palm Oil Association of Thailand, Palm Oil Crushing Mill Association, Palm Oil Refinery Association and Thai Biodiesel Producer Association. 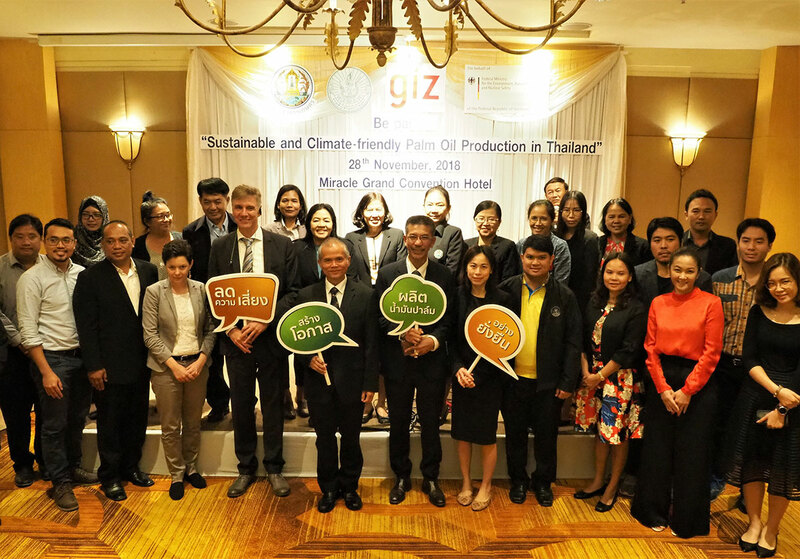 It was organized on 28 November 2018 in Bangkok by Department of Agricultural Extension and Department of Agriculture in partnership with German International Cooperation (GIZ) to introduce the training programme for relevant government officials and farmers’ leaders working in palm oil plantation.